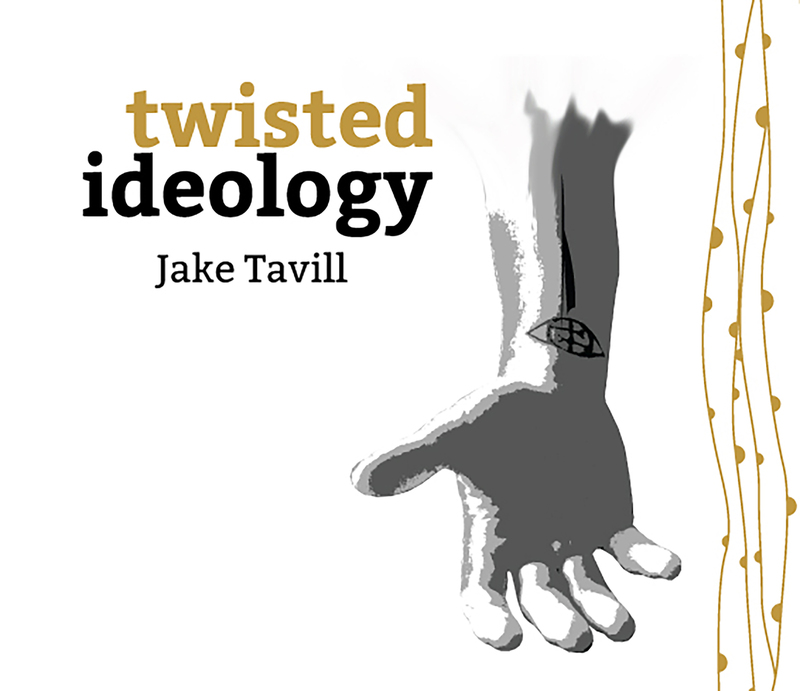 A moving, vivid rejection of the happy family façade, Jake Tavill’s engaging and passionate “Truth” opens our eyes and implores us to embrace reality. The older we get, the crazier life becomes. Childhood is a shield that wears thin to reveal a complex set of circumstances, emotions, desires, and backgrounds that seem to be in a constant state of conflict and harmony with one another. It’s as if everything is teetering together in a balanced chaos, ready to either explode or implode at any moment. An emotive song about growing up and tearing down life’s façade, Jake Tavill’s “Truth” opens our eyes and implores us to embrace reality, rather than hide from it. Yes, life is a ridiculous mess – but you have to be willing to get dirty in order to clean things up. Atwood Magazine is proud to be premiering the Julia Kupiec-directed music video for “Truth,” taken from Jake Tavill’s EP Twisted Ideology (June 23, 2017). Hailing from Rumson, NJ, 21-year-old singer/songwriter Jake Tavill has a fresh voice and keen ear for sweet melodies. He describes his music as “indie-soul,” and the words fit well: His whispy, warm vocals are reminiscent of French indie pop artist Broken Back, whilst his backing band – known as The Human Mind (drummer Jordan Bowen, guitarist Nick Ryan, trumpeter Sean D’Antoni, saxophonist/clarinetist Michael Squillace, and bassist/synth player Casey O’Connell) – delivers a vibrant one-two punch of soul, funk, rock, pop, and more. Currently studying at NYU Tisch’s Clive Davis Institute of Recorded Music, Tavill teamed up with fellow NYU film student Julia Kupiec to create the “Truth” music video. Truth is something of a buzz word these days, and Kupiec’s depiction of denial and ignorance vs. reality hits home with particularly affecting strength. We’re by no means new to the narrative of college students rejecting their upbringings, but Kupiec and Tavill have turned a rite-of-passage into a meaningful message. They confront truth’s beauty as well as its ugliness while asserting its importance above all else. At the same time, “Truth” is a fun, enjoyable watch: The characters are relatable, and their situations are just crazy enough to be true (for at least someone in America). The concept of a seemingly perfect, but in reality incredibly dysfunctional, suburban family immediately came to mind [when I first listened to “Truth”]. The song is from the perspective of one of the sons in this family. The image of an awkward teenage boy and his rag-tag group of highschool band members performing this song, which totally rags on the entire family, in their parents’ basement seemed hilarious to me… I wanted to play with cliché suburban stereotypes (mom’s sleeping with the hot gardener, dad loves golf more than his children, cheerleader sister has a coke problem, hyper-masculine football star brother is actually gay). I knew I needed to make the brother’s character more interesting than simply “plays football and is gay.” Its not funny for him to just be gay (and it could come off as borderline offensive if the joke is solely that he’s gay). Definitely didn’t want that. This is where the idea of the brother ALSO sleeping with the hot gardener (and this leading to a blow up between he and the mom) came to fruition. This decision basically solidified the tone for the video: total satire, the more stupid-funny, the better. I watched a LOT of old music videos from the 90’s for inspiration. Gotta love em. In-between shots of chaos, misery, and general disorder, we are treated to the family portrait – an oh-so everlasting phony moment of unity and togetherness. “The portrait would be the image this family presents to outsiders, while chaos would ensue inside the home,” Kupiec notes of her approach. In his biography, Tavill expresses that his “mission is to make a difference by using his music to help people understand themselves and each other.” He and everyone involved have gone above and beyond that in this latest effort, a stimulating work of art worthy of praise and discussion. Stream “Truth” exclusively on Atwood Magazine, and ask yourself: What is my family hiding? What have I been blind to in my own life?